A little boy is doodling cavemen. He gives them all names - Colin, Clive, Carlos and Flint - and then goes to get a drink. As he leaves, he accidentally knocks over his pot of pencils. And that's when something amazing happens. One of the pencils drops into his picture, where the cavemen have now come to life! What do cavemen do with a giant pencil? Make a stone-age car, of course. A hilarious book illustrated by Simon Rickerty, winner of the Roald Dahl Funny Prize 2013. 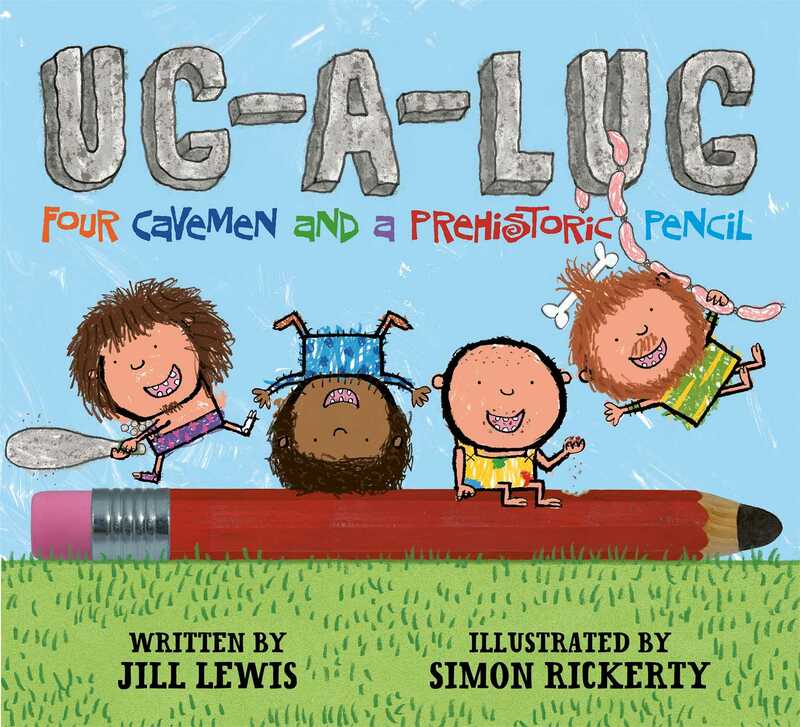 Jill Lewis is a fresh and original voice in picture books. With a background in teaching, she brings a sound understanding of what children find funny to her writing, as well as a zip and zest that is immediately infectious.